No, I am not planning to give a lecture on Geology here, I am not even beginning to touch the surface. I just would like to try to explain, why Iceland is so special. 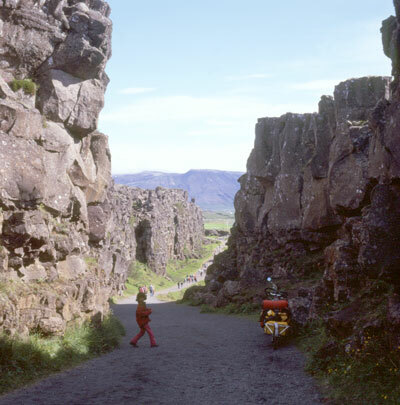 here the North-American and the Eurasian plate are moving apart, approximately by 1.8cm / year. So Iceland is actually growing. Where else in the world can you see plate tectonics so clear ? on the left North - America and on the right Eurasia !!!! And Shoam just in the middle ! and as Iceland is just south of the arctic circle, we have many glaciers and little vegetation to hide the geology.